W Magazine's, Giovanna Battaglia, after Celine, Paris, October 2015. 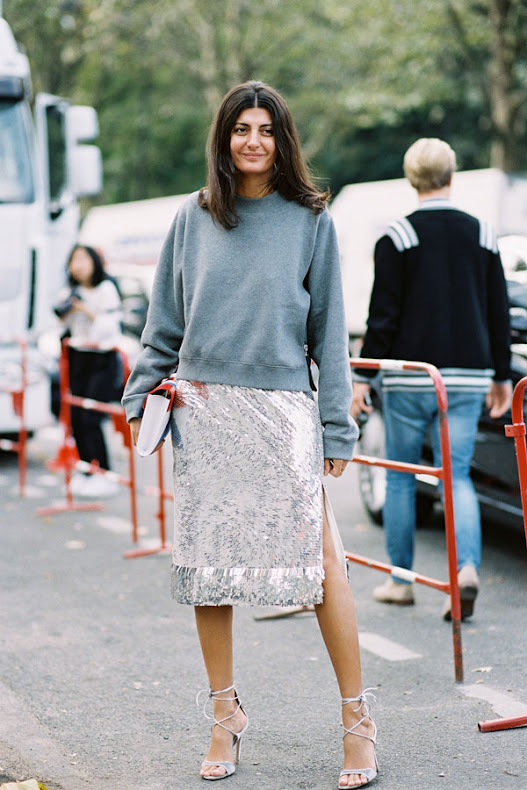 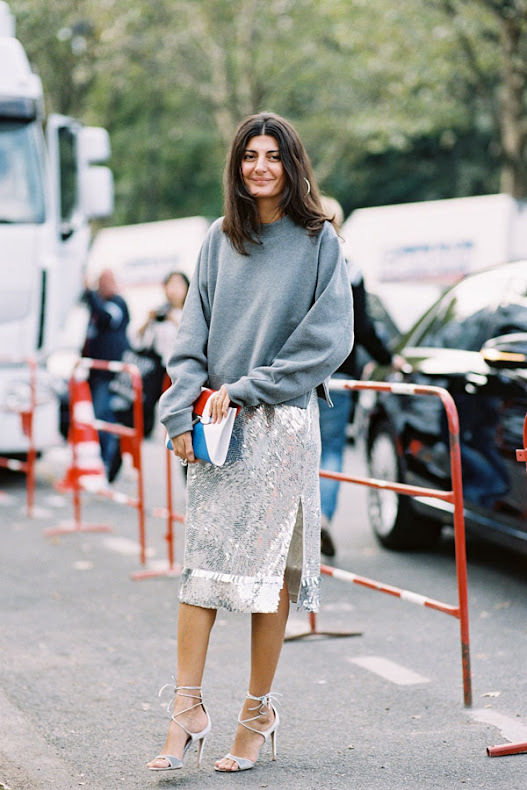 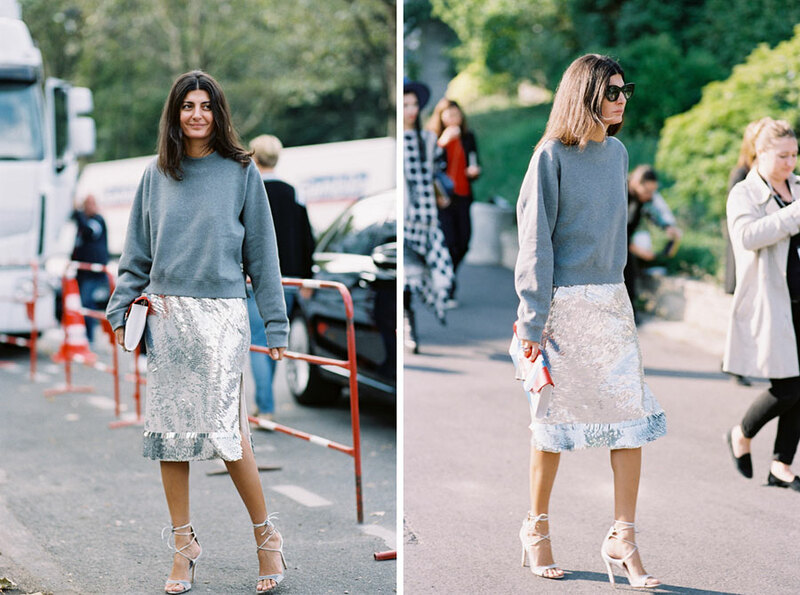 Love Giovanna's beautiful sequined skirt with her lovely grey sweater. A lovely way to wear something super sparkly during the day.